Choose a page number to see the recommended websites and find downloadable pictures. Click on a topic in the Category menu. Scroll down and click on a topic under "type". A handy-sized guide to the amazing wonders of the animal world. Young children can find out why zebras have stripes, how whales breathe, why spiders make webs and much more. 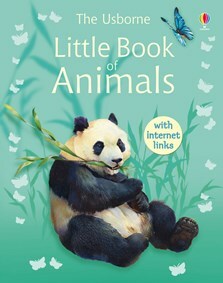 Written in clear and easy-to-follow language and packed with colourful illustrations, photographs and maps. With internet links to recommended websites with games, quizzes and animations.